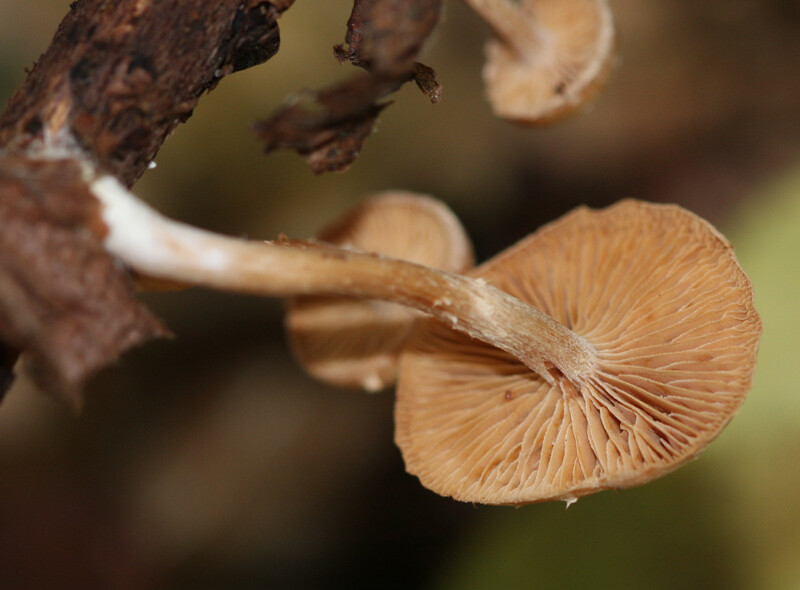 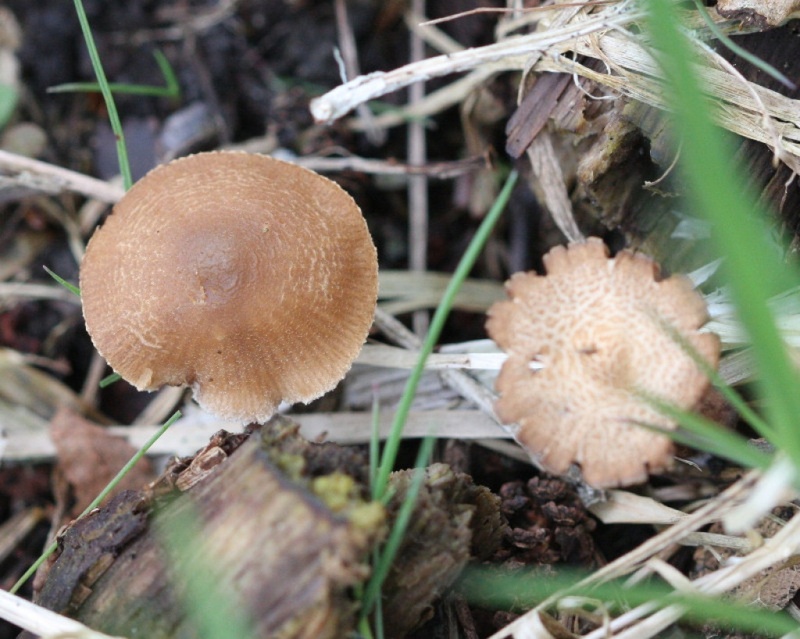 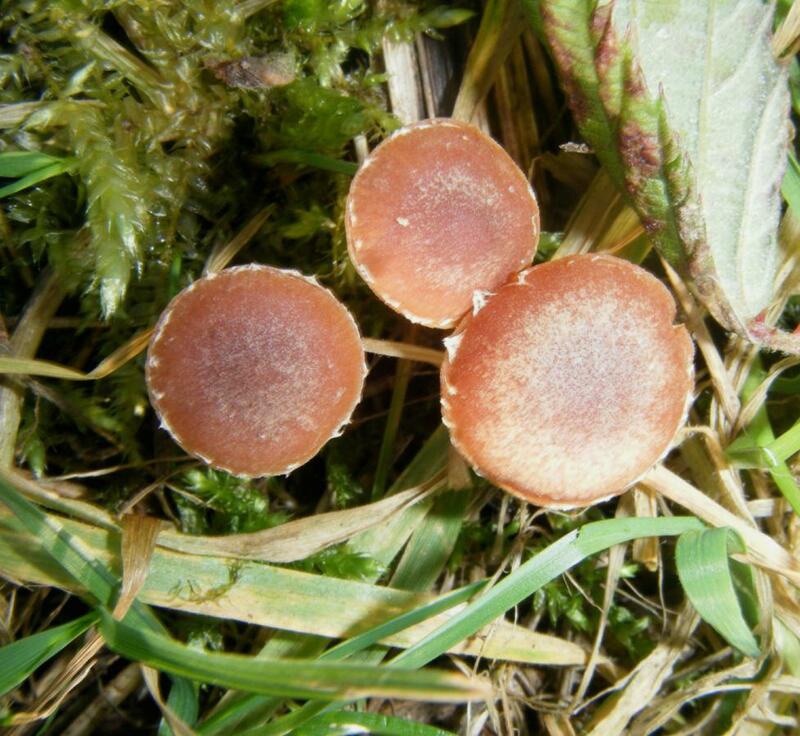 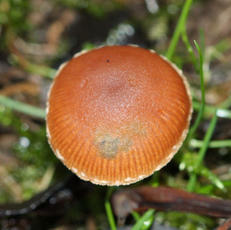 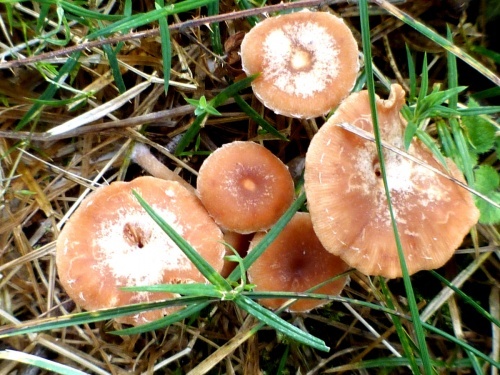 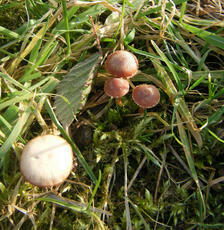 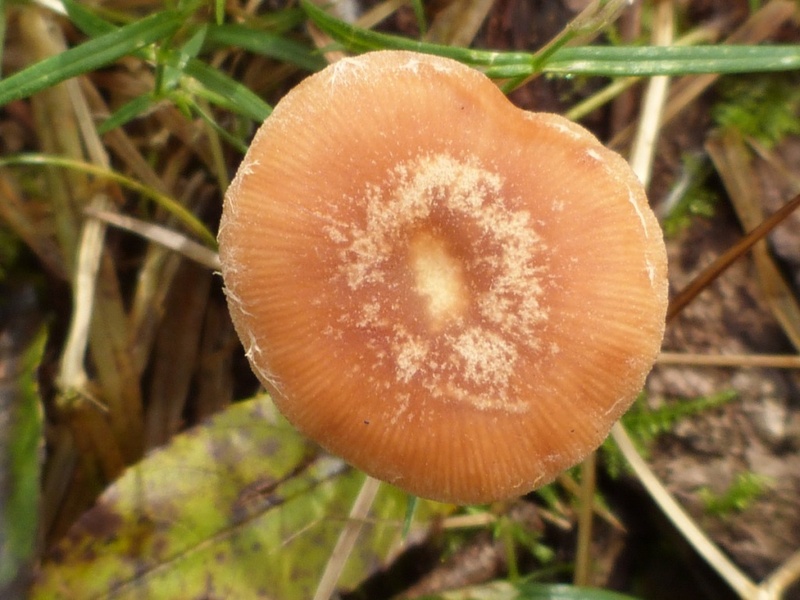 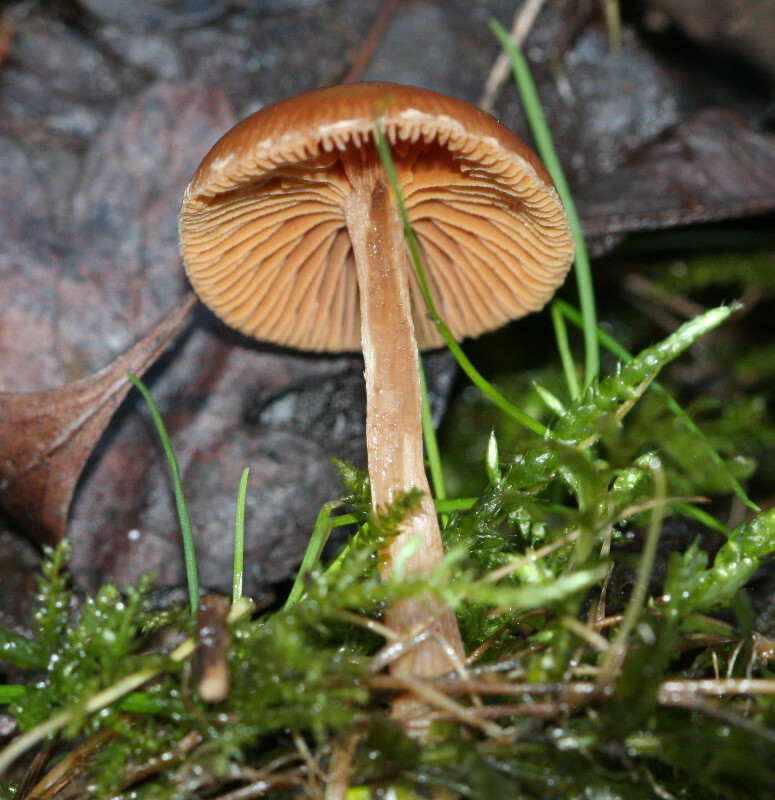 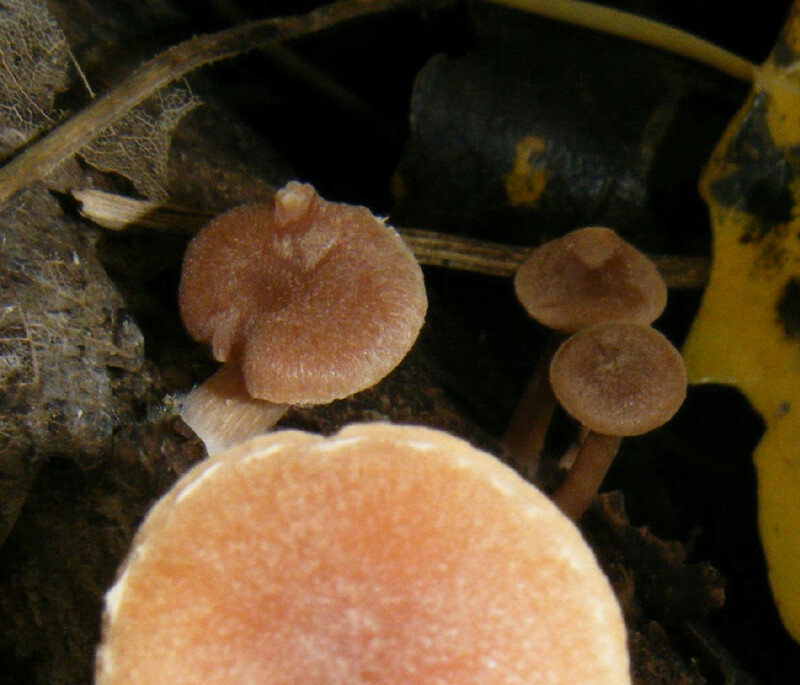 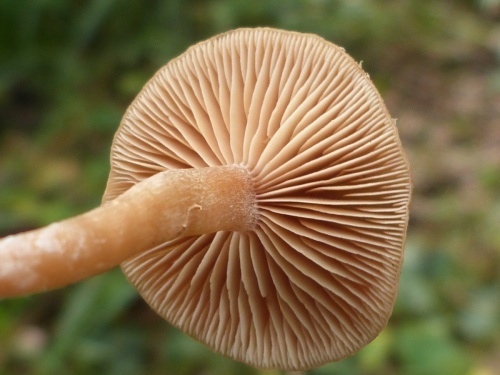 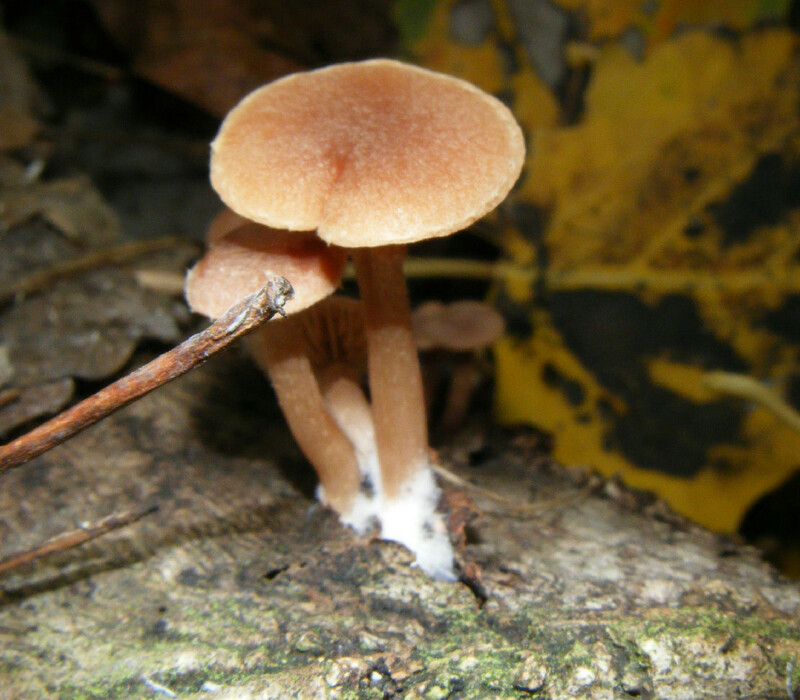 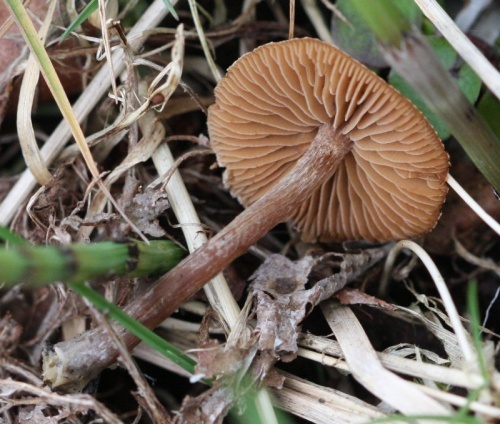 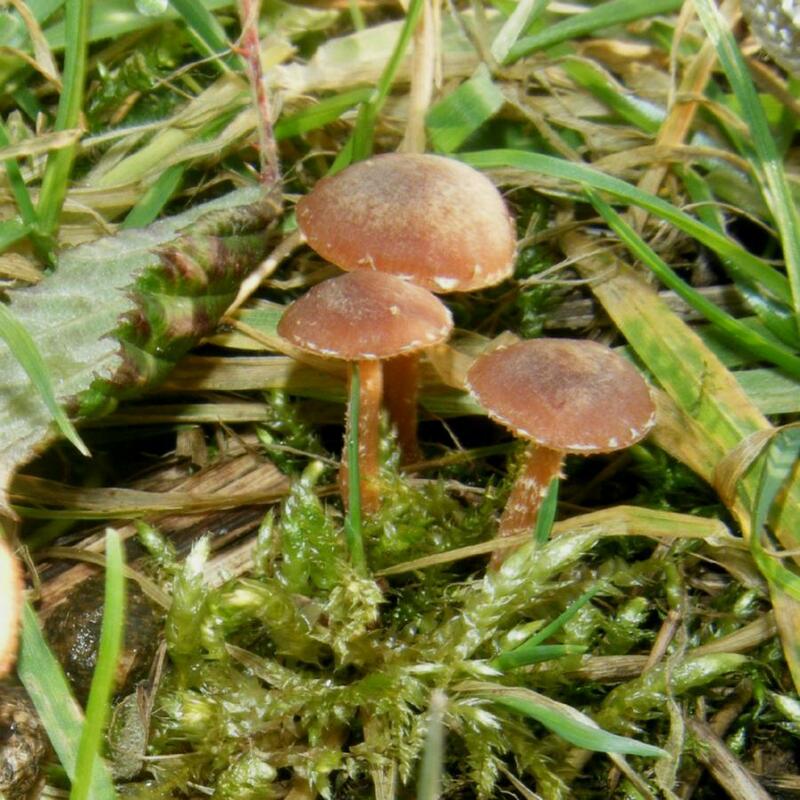 Cap 1 to 4cm across, convex then flattened or centrally depressed, cinnamon to tan and striate from margin inwards when moist, drying pale buff and slightly scurfy. 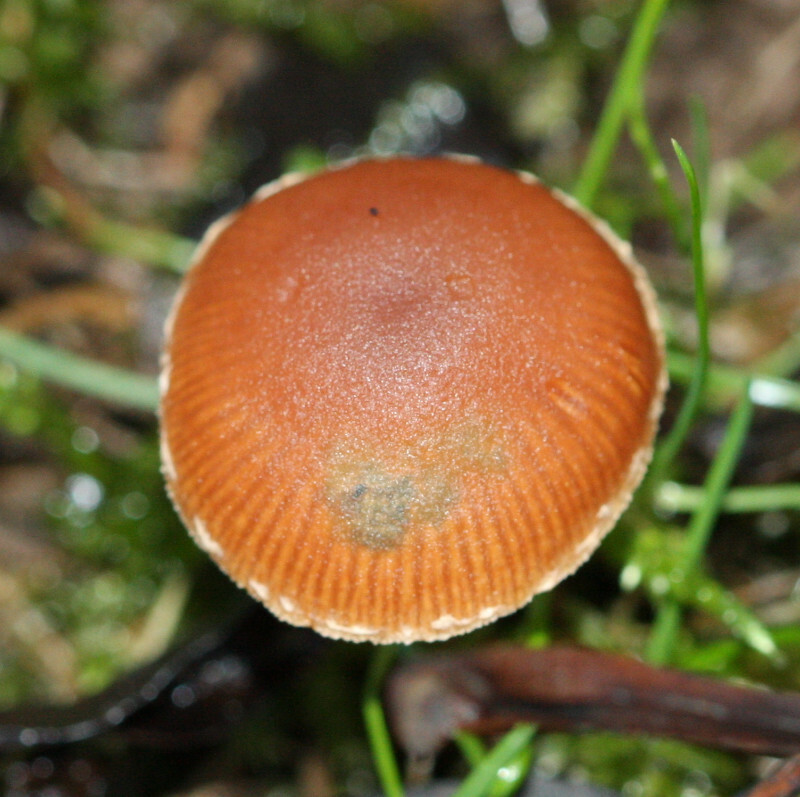 Spore print brown, spores sub-cylindrical, 6-10 x 4-6µm. 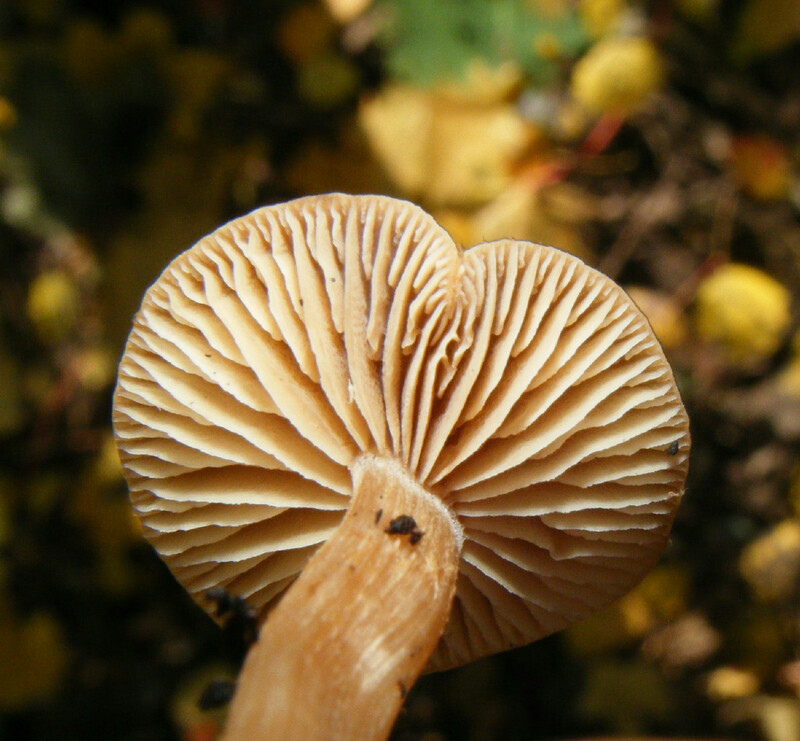 Found on woody debris, twigs etc. 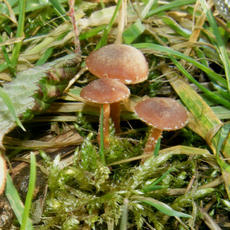 All year, particularly in autumn to early winter.